The following links show video snippets of a few of my favorite scenes from a DVD entitled Murshid as I Remember Him, narrated by Pir Vilayat (the eldest son of Inayat Khan). 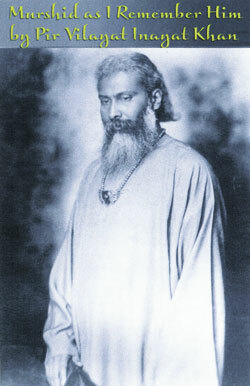 These snippets from the DVD include numerous seldom-seen photographs as well as some rare film footage of Inayat Khan filmed in Suresnes, France in late 1926. To view the video snippets, simply click the link below. The video snippets offered above are brief excerpts from a 68 minute-long DVD entitled Murshid as I Remember Him, produced by Mikhail Horowitz, and reproduced here with his kind permission. Sufism is the religion of the heart, the religion in which the most important thing is to seek God in the heart of mankind. 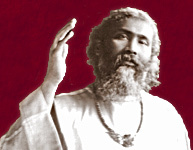 This wonderful 61 minute DVD, created by renowned documentary film-maker Mischa Scorer, honors the life and legacy of Pir-o-Murshid Inayat Khan. 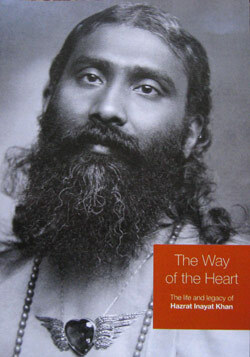 The DVD features a number of Sufi teachers and students speaking about the life and teachings of Inayat Khan, as well as spoken quotes from a variety of Inayat Khan's spiritual discourses. With it's diversity and breadth, there is surely something on this DVD which will appeal to any student on the spiritual path. Oh that is so beautiful! It literally brings tears of joy to my eyes!